My latest column for Kirkus reviews has just been posted! 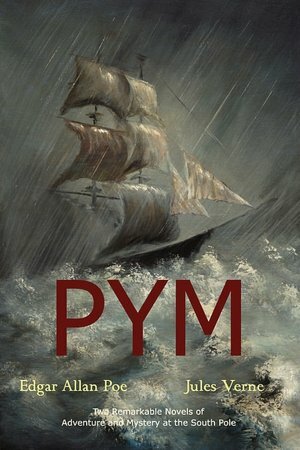 While doing some reading on Edgar Allan Poe, I came across an interesting point: Poe only wrote a single novel, The Narrative of Arthur Gordon Pym of Nantucket, which was later picked up upon by legendary science fiction author, Jules Verne in An Antarctic Mystery. In a large way, it was one of the first works of fan fiction! 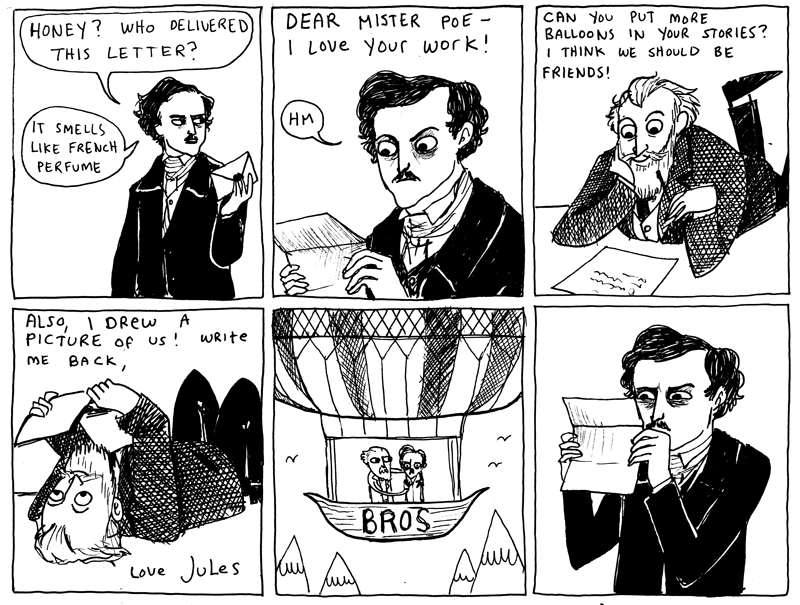 You can read the connection between Poe and Verne over on the Kirkus Reviews Blog. Billion Year Spree, by Brian Aldiss: Aldiss's first history of the genre, this book goes into extensive critical length for the roots of science fiction, and provide an excellent basis for Poe and his influences. While Aldiss doesn't regard Poe as the founding author of SF, he does count his influence. The Cambridge Companion to Edgar Allan Poe, edited by Kevin J. Hayes, and in particular, Extra! Extra! Poe invents science fiction, by John Tresch: this critical series covers Poe's literature, and this section by Tresch looks at his forays into science fiction, particularly Arthur Gordon Pym.. The Dreams Our Stuff is Made Of, by Thomas M. Disch: Another survey of the genre, which looks to Poe's status as an 'embarrassing ancestor'. Disch in particular labels Poe as one of the key figures in the history of Science Fiction. The History of Science Fiction, by Adam Roberts: Robert's history of the genre notes both Disch's and Aldiss's opinions, he doesn't quite go along with them, although he does outline in excellent detail the achievements that Poe did put forward and likewise places Poe high on the list of superior influences for authors to come, because of his writing and vision. Israfel: The Life and Times of Edgar Allan Poe, by Henry Allen: this excellent volume is a detailed account of Poe's life, and provides a great background in the events that surrounded Poe and his works. Survey of Science Fiction Literature, Vol 3, by Frank Magill: Magill's series is an excellent one, and this particular volume provides a critical account of Arthur Gordon Pym and the influences that helped to bring it about. Oddly, there isn't an entry for Verne's An Antarctic Mystery that I could find.